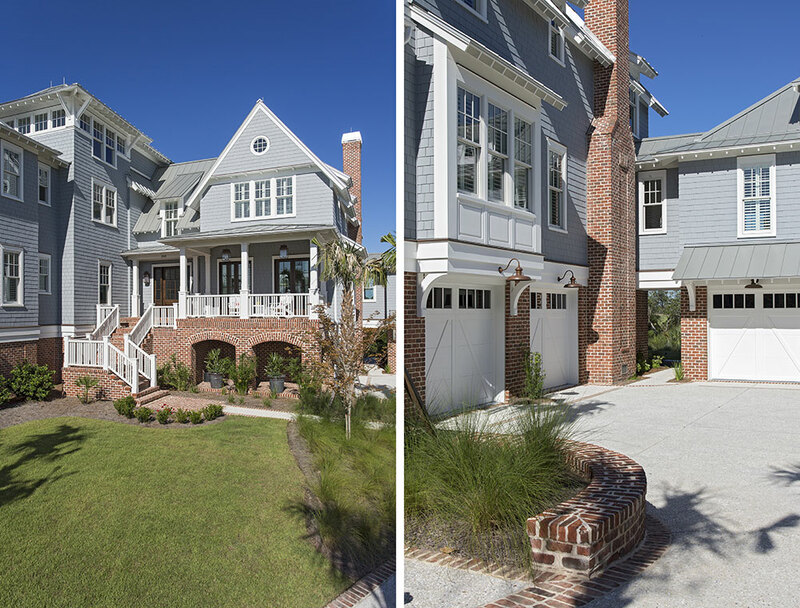 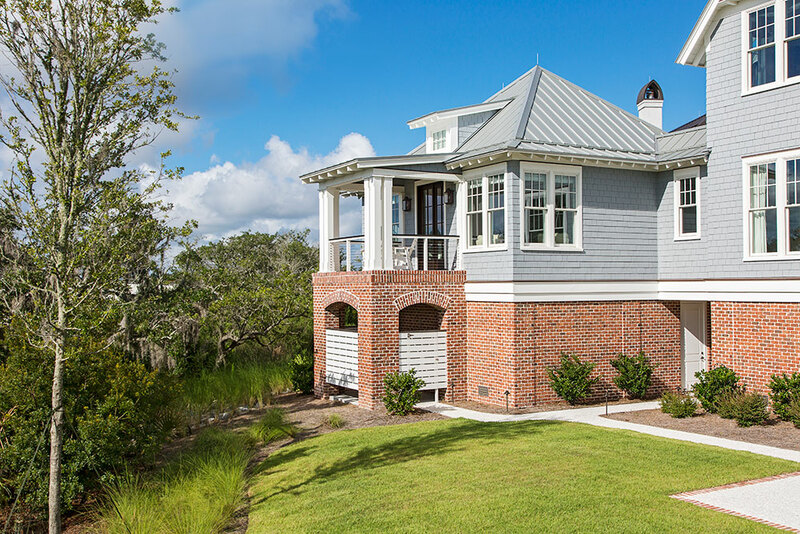 This 6,000 square foot elevated home is located at the end of a quiet cul-de-sac on Daniel Island. 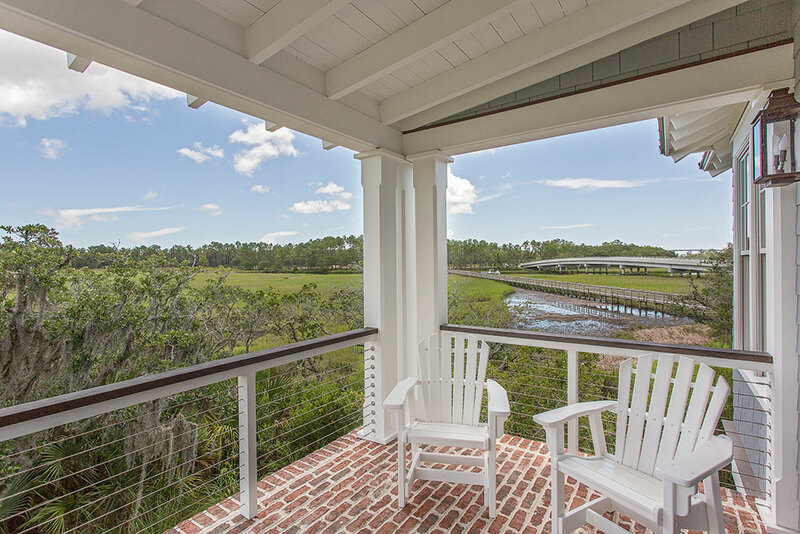 The shape of the property dictates that the house be narrow on the street side and wide at the back, which allows many of the rooms to take advantage of the breathtaking views of Ralston Creek and the surrounding marsh. 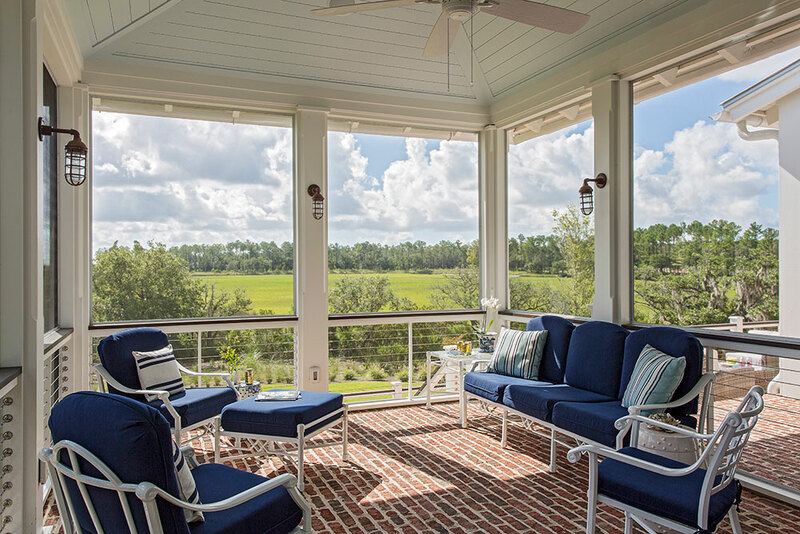 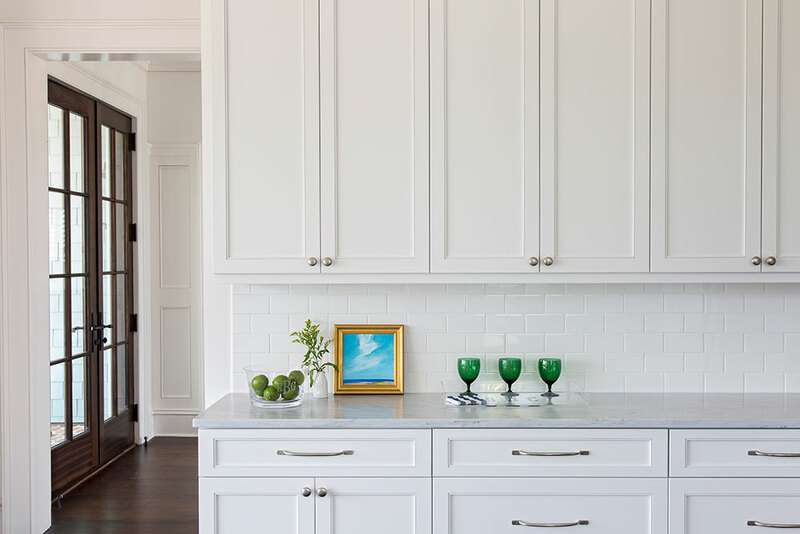 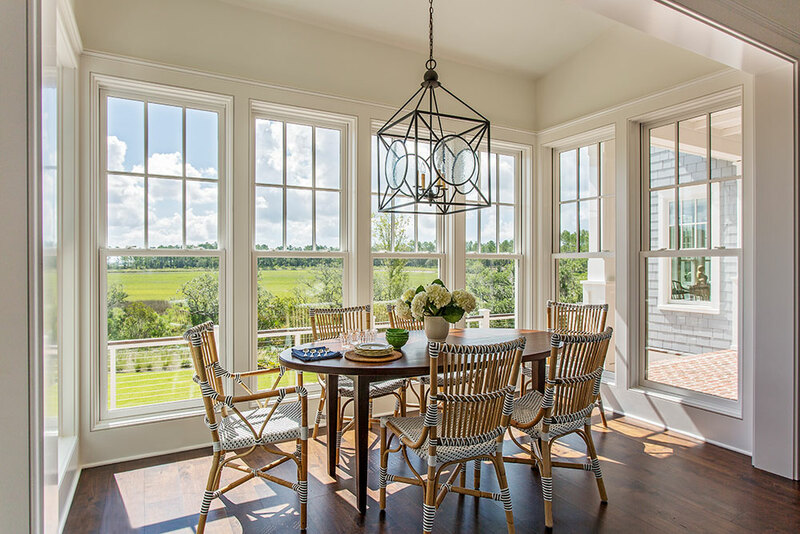 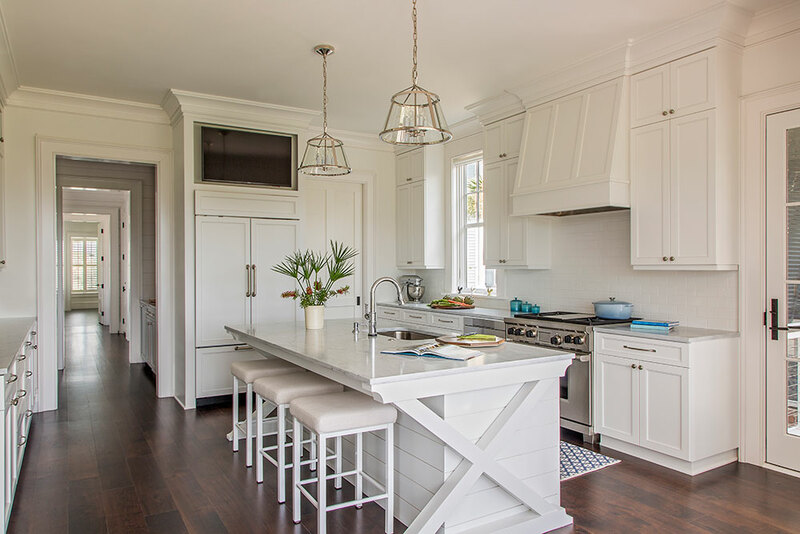 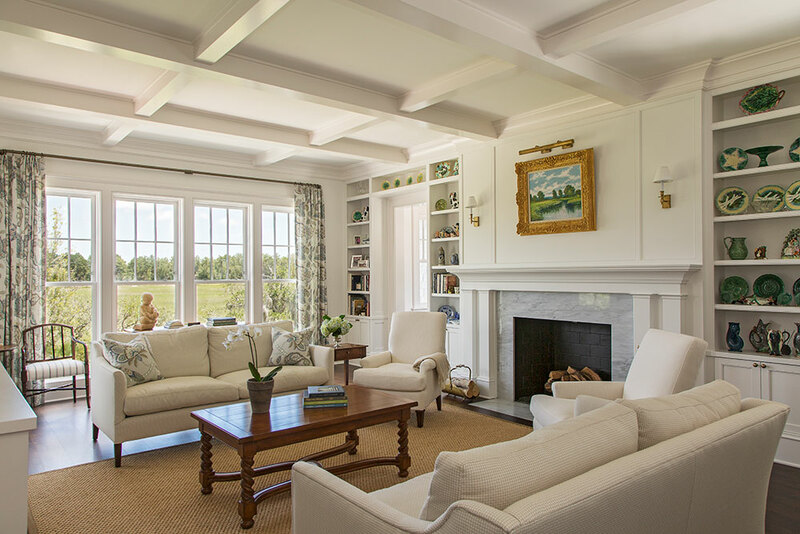 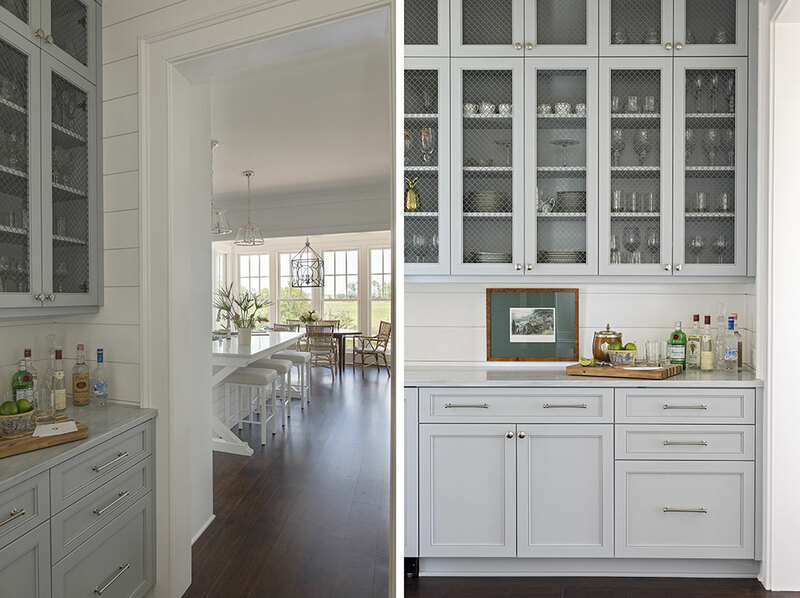 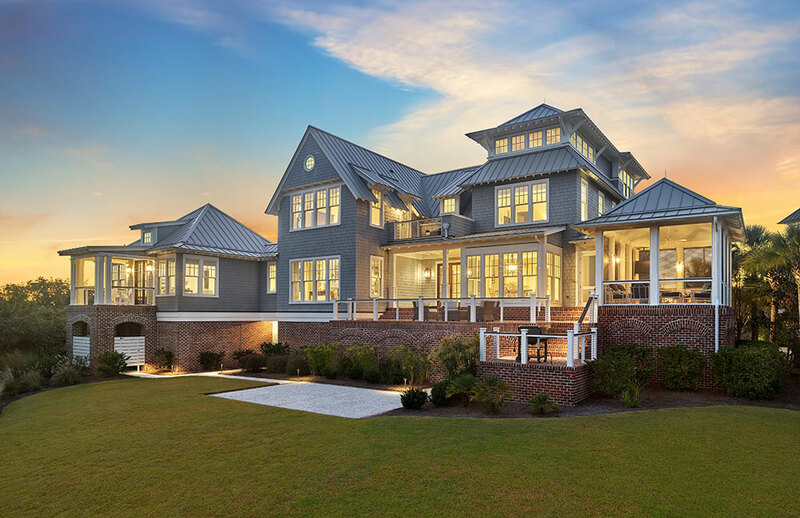 Large double-hung windows and French doors provide a visual connection to the outdoors, while a screened outdoor living space, brick terrace, sun deck off the Master Bedroom, and a private porch off the vaulted guest suite provide a variety of outdoor living options. 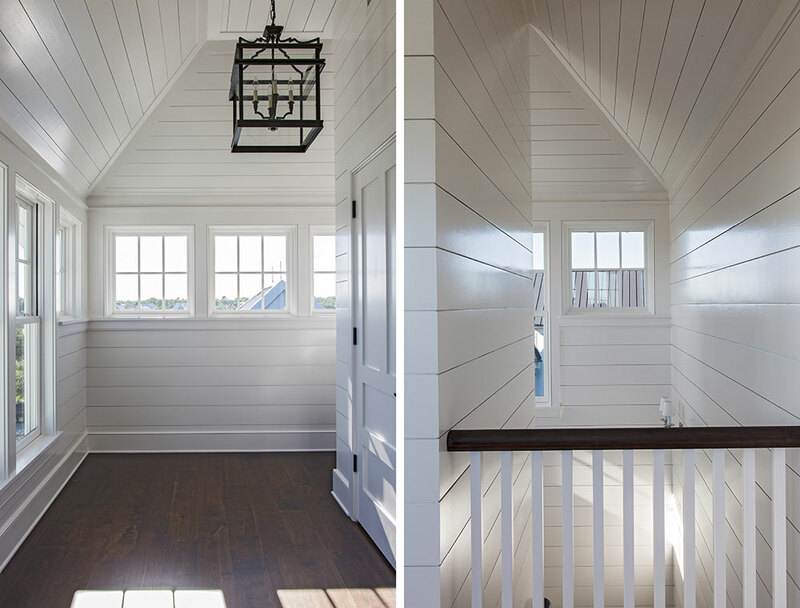 A four-story stair and elevator tower leads to an office with sweeping panoramic views of the island and beyond.